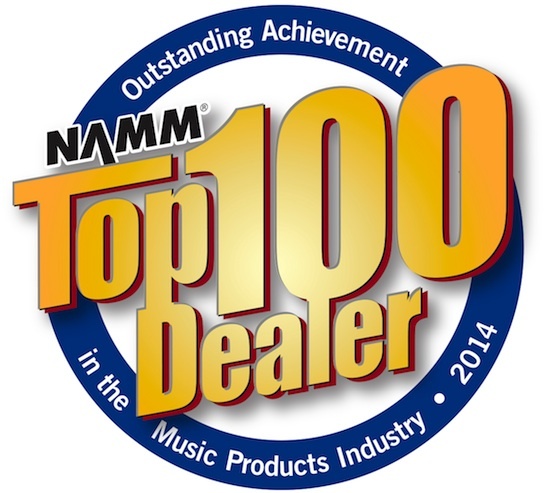 Blog Article: Merchant Advance Capital Salutes Bluedog Guitars, NAMM Top 100 Retailer 2014! All of us here at Merchant Advance Capital would like to extend our congratulations to clients Paul and Jenn at Blue Dog Guitars. Bluedog was just named by NAMM (the National Association of Music Merchants) as a Top 100 Retailer for 2014, a prestigious designation that puts it in the company of a great many influential businesses serving the music industry across North America. Bluedog Guitars is also being considered to receive the Dealer of the Year award, NAMM’s highest honor for a retailer. We wish them the best of luck! Paul and Jenn have this to say: “MAC has been really beneficial to our success as a new business by providing us with funds at crucial times to buy new inventory for our shop.” Find out how your business can do the same today. We sincerely hope that all our clients, and small businesses everywhere, are inspired to take similar core principles to heart on the path to building a successful and thriving business with deep connections to their expanding community customers.